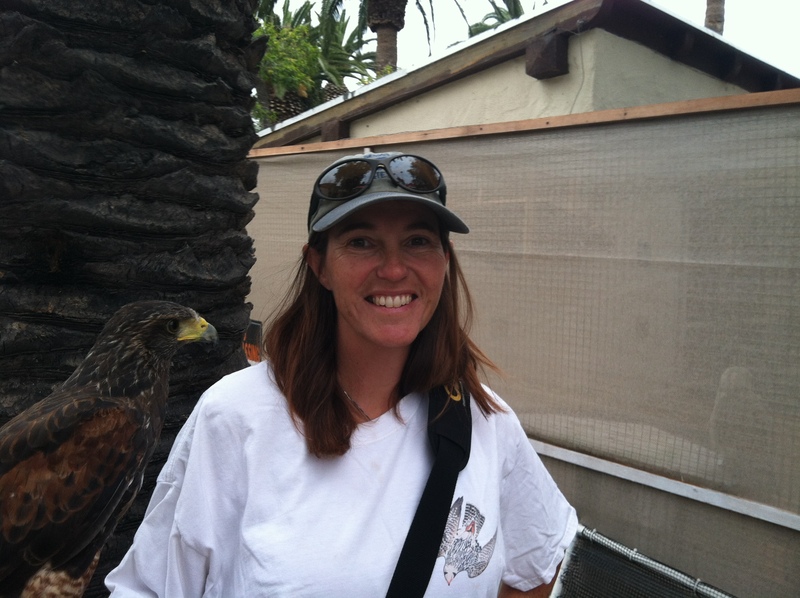 So I’ve been working with the On The Wing raptors for a month now as part of the Avalon Pest Bird Abatement Team. 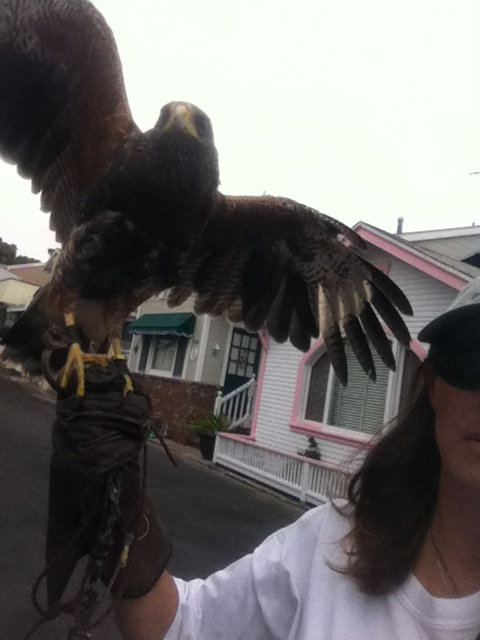 The bird I have below is Pastor, a Harris Hawk. We just got finished doing a walk around town surveying the seagull and pigeon scene downtown. Very few out today. They must be at Descanso Beach. He was stretching his wings on our walk downtown. The first of the Bird Cards are here! 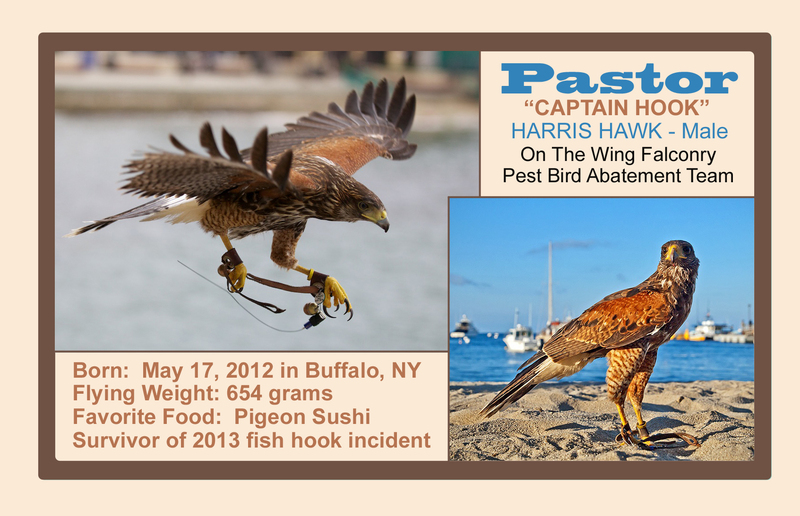 The series of Stat Cards for the PBA Team will highlight each bird. Collect the whole set! They’ll be a $1 donation per card and the proceeds will go towards feeding the birds (it costs $50 a day to feed all seven birds). I have also added a Falcon Factoid section to my weekly radio program, LifeLines, that airs from 11:30 – 1:30 on Monday lunchtimes on KISL 88.7 FM. Fair Winds on the Air Waves! This entry was posted on Thursday, August 1st, 2013 at 7:12 pm and is filed under Uncategorized. You can feed this entry. You can leave a response, or trackback from your own site.